Many websites provide the opportunity to post discussions to get everyone involved in your event. Use the groups on LinkedIn and Facebook, as well as Yahoo groups and any professional organization sites that relate to the topic of your event. Anywhere you can find people who will genuinely be interested in your topic makes a great place to get involved. However, read the rules for each of these sites carefully so you don’t end up spamming anyone and losing your privileges. Spamming will only hurt your reputation. On all your social networking sites, including Facebook, Twitter and LinkedIn, make posts about your webinar. Make sure some of these posts are informative and interesting so you aren’t bombarding your followers with links to your webinar. Your followers want information they can actually use. Use teasers for your event once or twice to draw attention to the link for your event. Through the course of your business day, you likely interact with any number of other professionals and clients. Reach out to each of these contacts in the same manner you typically use, such as by phone, e-mail or in person. Provide them with information about your event, including a link to register. If you have a blog, add the link to your blog as well to encourage participation by your followers. If you have older materials, such as slide shows and articles that can relate to the topic of your event, add a tidbit at the end about your upcoming event and repost the information. Scribd and Slide Share are both good options for posting your older materials to help advertise your upcoming event. You may have stayed in touch with some of your colleagues and mentors as you have climbed the ladder in your business. If you have done so, reach out to these people personally to invite them to your event. They will appreciate the personal touch and will be more likely to attend. Ask for advice and whether they are willing to share your event with their connections. 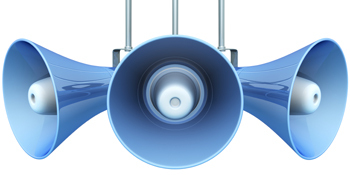 Word of mouth can be a great way to spread the word. 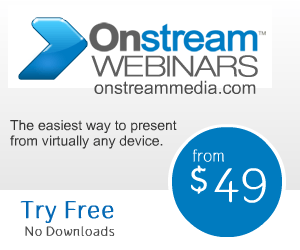 If you don’t have a big budget for advertising your Onstream Media webinar, there are plenty of free ways you can do so. Once you know how to advertise for free, you will be able to make the most of your event.